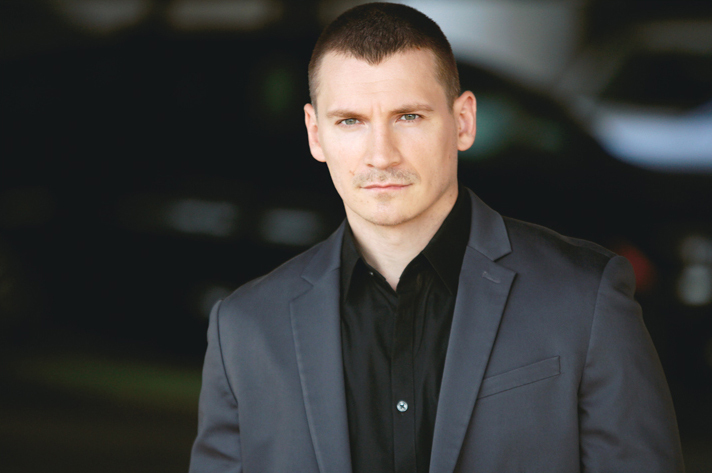 Rising star Kazy Tauginas is a former restaurateur and Golden Gloves boxer turned actor. Growing up just outside of Chicago, Tauginas played a different sport each school year, settling on figure skating before he discovered a natural talent for boxing after college. His grace on the ice helped him in the ring, where he fought in 13 amateur bouts. After trying his hand in the restaurant business, Tauginas turned to acting and writing, a passion that led him to the New York Film Academy, where he graduated from their Conservatory Acting for Film. Tauginas’ film work includes “John Wick,” “Dolemite is My Name”, “The Broken Tower,” “Terminal Legacy,” “Eleanor,” “Sollers Point,” “Life Is Too Short,” “Empire Gypsy,” “Recruiter” and “Sheer.” Most recently, he was seen as Ari in the box office smash “The Equalizer 2,” starring Denzel Washington. After writing several short films (and starring in over 20 of them), Tauginas drew inspiration from his mother who’d been diagnosed with Lupus and his own boxing experience, and decided to write “Standing Eight,” a short about a boxer who is forced to retire and contend with life outside of the ring after being diagnosed with systemic lupus. During the spring of 2015 he oversaw two successful Kickstarter campaigns to fully fund the film. Since its completion, “Standing Eight” has won ten festival awards including Trinity International Film Festival’s Best Short Film, and is currently nominated for another four. He hopes to release the film later this year on Amazon, with proceeds going to various Lupus charities. Tauginas resides in New York.